When I initially discovered yoga through video games in the form of Wii Fit, I never thought the simple shapes I performed on my balance board would propel into the life I live now – an aspiring full-time yoga teacher! Originally a runner in high school plus an avid dance dance revolution nerd – I loved the feeling of my feet on a track, scuffing asphalt behind me and leaving musky black shrouds of dust in the midst. The freedom that came from taking stride after stride made me feel I could take on anything in this world, conquer the odds that seemed pinned against me nonstop. Well, what started as a stretching component to my daily running… quickly became more and more a daily yoga practice and my motivation to continue running (trying to run a few days a week) dwindled to extinction. The cardiovascular and aerobic aspects of vinyasa yoga replaced my running and although I miss running a lot, I don’t enough to pick it back up. Not everyone is aware that I used to run before I found yoga, which is why I am debriefing that little bit to shed more awareness. Now, onto the point of this blog post: The Path To Me Taking My First Teacher Training! As I progressed in writing this entry, I realized I hopped back and forth between 2011-present day. Reason being is there were certain key points in where my discoveries occurred including where and when I met my teachers and how they led me to where I am now as a yoga teacher. Thank you again for reading my blog and that’s all I can ask for. I knew that after practicing yoga for a year and a half, that it was the career path that was waiting for me. At the time, I was practicing daily in some could say ‘unhealthy‘ amounts because my drive and passion was that ignited. I knew I wanted to take a Teacher Training and struggled to find the ‘right’ time, place AND teachers who I resonated with. I’m the kind of guy who needs his personal trust and relationship with a teacher BEFORE taking their trainings. This proved challenging in the beginning as the teachers I practiced predominantly with were NOT providing their teachings in a teacher training curriculum. Being one who feared ‘certain’ commitments in the unknown, I knew I wasn’t ready to throw myself into a full on 200 hour teacher training, the 1 month or 3 module formats at the time were NOT resonating with the style of learning I felt compelled to be in. This awareness caused me to search for a shorter continuing education yoga program. 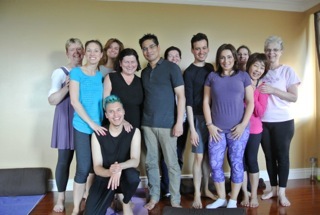 For those who know me well and are reading this post, Chris Manansala is ONE of my primary yoga teachers and mentors for therapeutic restorative yoga and bodywork. 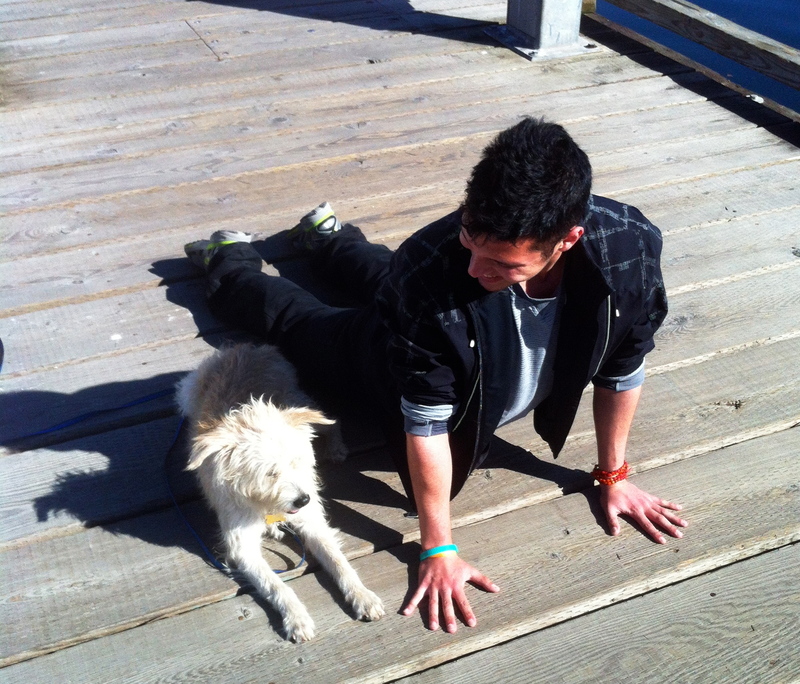 I had found out about his training from Rachel Martens. 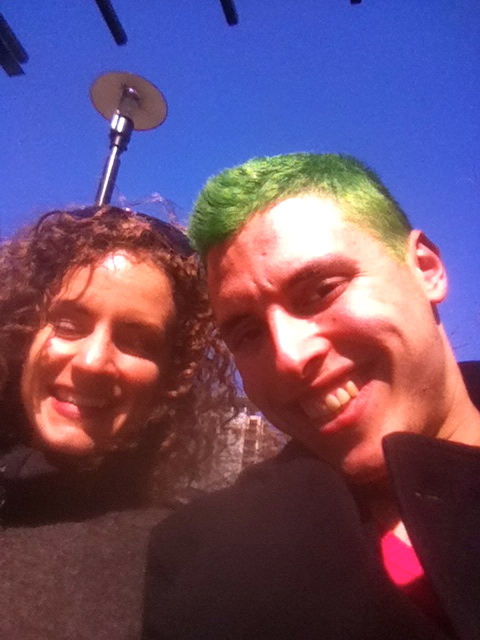 My Soul Sister – Rachel Martens! Rachel Martens (former YYoga teacher, now lives in Vernon and owner of Yoga on the Farm) was the FIRST core yoga teacher I met just 3 months into practicing yoga. That first class with her CHANGED me and ultimately set me on the path to becoming a Teacher. It was her straight-forward, drama-free, light-hearted, genuine, sincere, down to earth, passion and attention to details that drew me to her classes, which eventually established a heart to heart bond which we still sustain today. Now that you have a bit of insight to the impact of this woman and how she helped me open my eyes to the opportunities, I will continue. Chris Manansala was a man I found at the Downtown YYoga location, he provided Restorative yoga 1 day a week and quickly established a following and now with several public classes. I was in his class one day and he mentioned he was leading a 40-hour restorative teacher training. 10 Sundays, 4 hours a session. The lightbulb went on straight away, as this was the best way for me to slowly integrate my passion of therapeutic restorative yoga and bodywork in a safe and supportive, intimate space with a teacher who I knew what he was doing. I had also been seeing Chris for massage to recover/heal my physical, emotional, mental trauma and injuries which are both yoga and non-yoga related. March 2012 was the beginning of my path to teacher training. Those 10 weeks were the pinnacle, I faced major challenges and was put into the place where I needed to be by Chris. He took me apart quite literally and provided the proper tools, resources and guidance in order for me to realign. After this little big training I was hungry for more and wanted my 200-hour certification… but where was I supposed to go? After trying to force through my fear and anxiety and register for training 3 times I felt uncertain as to the completion of this feat. Nothing resonated with me as far as the bigger programs out there in Vancouver, I also knew I wasn’t really compelled to ‘specialize’ in vinyasa or hatha yoga styles (AT THAT POINT). There was only a small handful of yoga teachers whom I really connected with at this time, it was Spring 2012 and still these teachers currently were NOT able to certify me with and RYT-200 status. I continued diligently practicing alongside them and bonded deeper with them both as a student… however there was one who I wasn’t able to stop coming to for vinyasa and yin yoga styles. 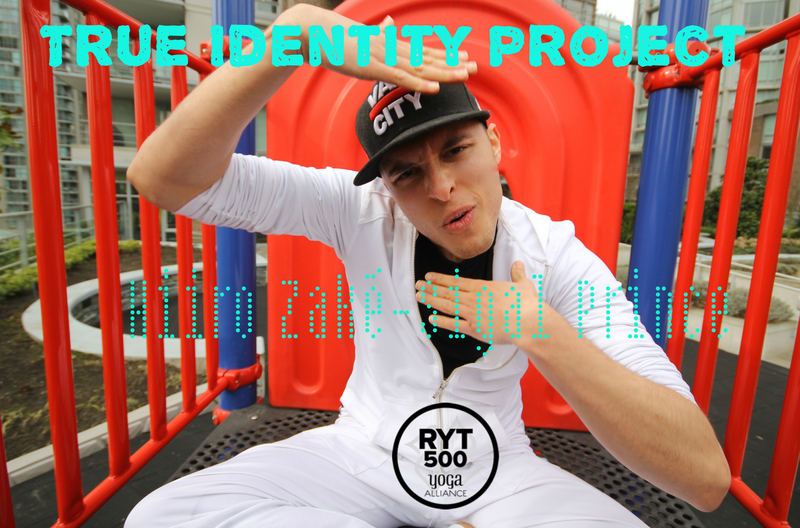 I knew I had Chris Manansala for the other half, however… who was going to help me help myself in being versed with the more ‘yang’ and ‘publicly mainstream’ styles of physical yoga lineages…?! Alongside Rachel Martens and Chris Manansala, when I practiced at my YYoga studios across the city, there was a man who I seemed to cross paths with several times. His nature was calm, collected, approachable and nothing except kind-hearted and sincere. It was hard NOT to gawk at the inner beauty and radiant light he shone. I always kept too myself around most men generally when I was younger… in fact it wasn’t until the last couple years where I felt secure around other masculine energies and auras. There was something different about this man though… He always smiled at me and would catch my eyes when I looked up, as if he already knew exactly who I was, where I was coming from, why I was the way I was at that moment in time…. Well there I had it, his name was Mike…. of course I FORGOT who his name the day after and wasn’t aware of anything else besides his name. Going backwards a little bit for a moment, I was in a power class at 4pm at YYoga Flow and there was a SUB for this class… I had only started my power practice 4 months after studying hatha, flow and yin. Anxiously waiting for the mysterious sub teacher, I see a man walk into the room instead of the female I was expecting (she remains as a core part of my teachers since day one). A brightness emerged into the heated room and there he was… AGAIN! Surely this had to mean ‘something’ for me along my path to teacher training – yeah? Immediately I registered it was MIKE! Mike knew who I was right away and there was some sort of unspoken recognition. His class that day, like Rachel and Chris, stuck with me. 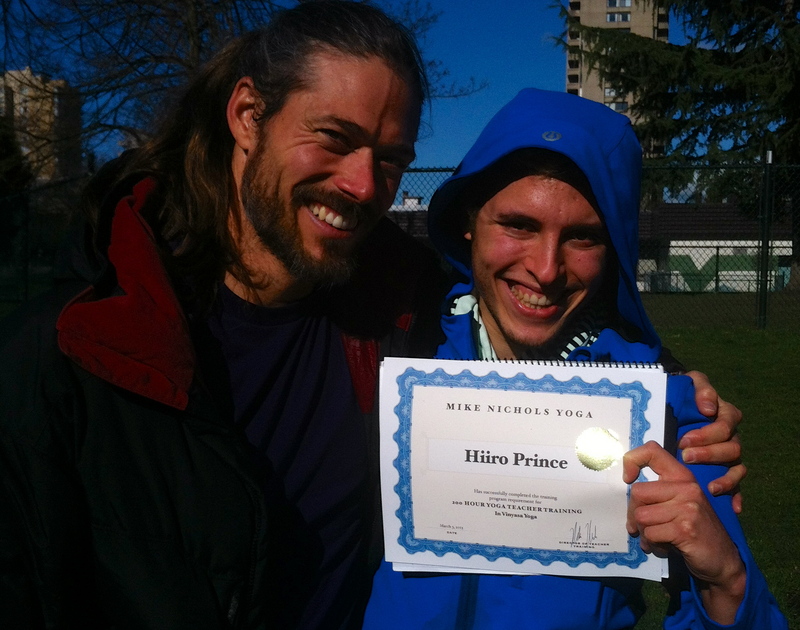 One Of The Men Who Changed My Life: Mike Nichols, My RYT-200 Trainer. Brother of Light. I don’t remember taking Mike’s flow or power classes again UNTIL I was working for YYoga as a Guest Experience Team Member at Flow and later on at the Kitsilano location. Mike was being spoken about very highly by my peers and I finally took one of his flow classes during lunch time. It was at that time between Spring 2011 right up to September 2012 when I religiously attended Mike Nichols classes, some weeks where I hit up to 12-15 Vinyasa and Yin classes spanning Richmond on one end all the way to Northshore on the other end. The expansion within my soul and spirit was ignited, I felt ‘YogAddicted’ and a love for Vinyasa emerged. I made a conscious routine every thursday evening to trek out to Richmond YYoga for the infamous triple yoga session with Mike, where he led a power class, followed by yin, finishing with restorative… it seriously was one of the best parts of my week and I had months to savour in his teachings, wisdom, knowledge and build community with another part of this city. Around November I finally approached Mike after class, we were walking to the train to head home which allowed the time to have this discussion. He had told me that he was not eligible to certify me with RYT-200 although he had a curriculum which he wanted to have recognized as a Yoga Alliance certification. Yeah, expansions began happening before I knew my leg was out and to my side. My outlook was a bit tarnished, not going to lie… Mike could tell I was unsure who else to seek guidance from as far as that level of training. Despite my efforts to discover and attempt other trainings and pulling out before they began, Mike and I began to meet 1/1 periodically between Fall 2011 and still do so presently. I had decided I was going to wait for the right moment to commit to a 200 hour training, which allowed me a whole year to practice, practice and practice. 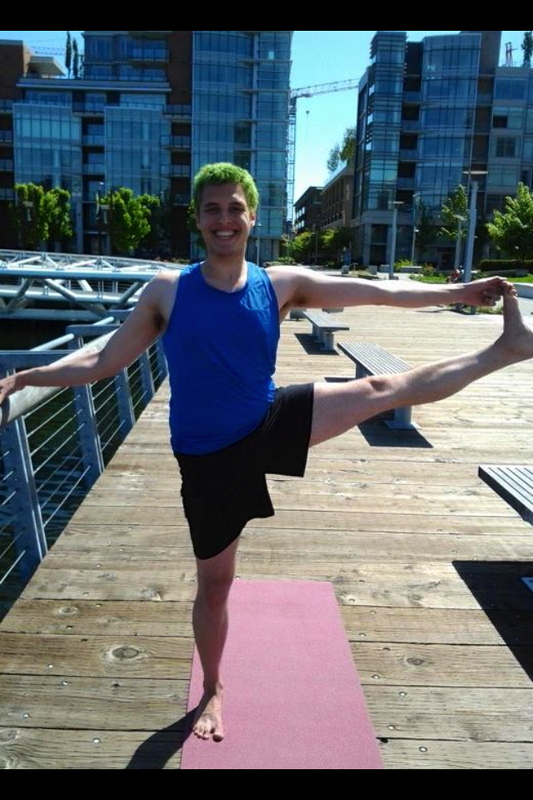 Fast Forwarding to Summer 2012, I was still working the front desk with YYoga in Kitsilano and my core teachers were still the same, including Mike Nichols. I consistently was inquiring with Mike about how his teacher training curriculum had been developing, expressing to him my ongoing frustration and lack of direction for finding that right training. I needed someone who knew me inside and out in order to enroll for their training… this was NOT something anonymous in my stage of life. This was troubling me… I had withdrawn a THIRD time from a 200 hour and was fearful I’d created this pattern and unable to escape it fully. This was the moment I’d been waiting for, the one opportunity that I knew would change my life, again. … My jaw dropped, the timing couldn’t be more synchronized with how I was feeling about my life, where I was static and in my own way. I told him immediately “IM IN, PERIOD!” He looked at me passionately and he didn’t question my determination once. The rest of that Summer of 2012 leading into Fall 2012 I continued to work and practice with Mike, Chris and several other of my main yoga teachers. Mike and I continued to meet in preparation for the journey of a lifetime I was to go under. My dream of becoming a yoga teacher had been answered a little more clearly. All I had to do now was trust in myself and Mike that everything was going to be okay, that I was going to complete this somehow, most likely the biggest commitment taken in my life to date aside upholding my job AND sustaining my physical, mental and emotional well-being. September 30th, 2012 couldn’t come quickly enough and although my life was about to change, I wasn’t even able to process HOW much it was about to from there onward. I remember the day I woke up on September 30th, 7:00am at the crack of dawn (well for me it sure was) and unable to fully sleep the night away knowing where my life was taking me that week coming. I knew I was meeting 3 of my other colleagues and we would drive to the Ferry and meet Mike there… kind of reminded me of the start of a reality tv show season where the contestants haven’t met another yet, know absolutely nothing about what was going on, except that they knew the host, Mike Nichols. 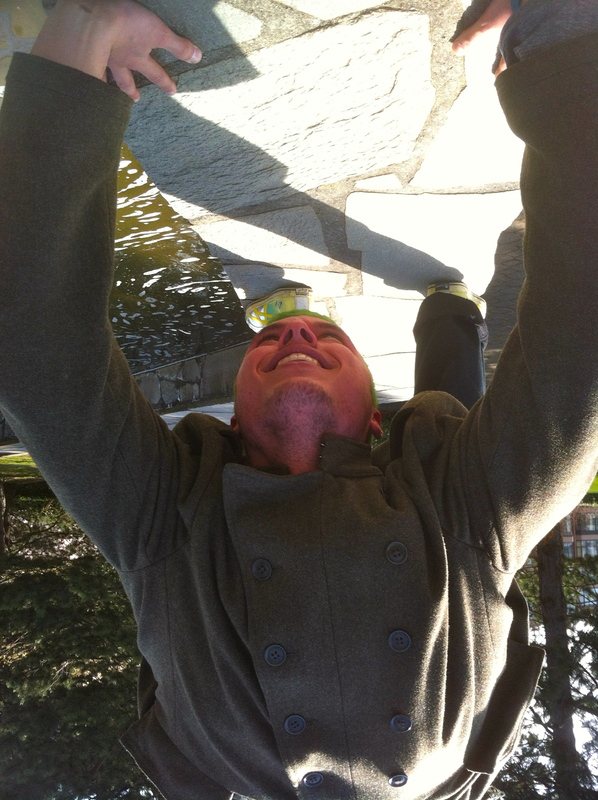 My life was feeling upside down… When I heard the news, it sure felt like right side UP! This concludes the first part of my path to becoming a RYT-200 certified yoga teacher. In Part 2 I will go in-depth about my journey over the timeframe of my teacher training with Mike Nichols between September 30, 2012 – March 3, 2013. There were periods of time roughly 4-5 weeks between each module where a lot occurred. You may have also realized it is September 18, 2013! One of the purposes to writing this series of posts is to reflect back on one year’s time since I STARTED my 200-hour teacher training and where I have come to now as an up and coming, aspiring, full-time public/private therapeutic restorative, yin and vinyasa yoga teacher. Stay Tuned, I look forward to continuing my outlet of writing. My writing ranges between auto-biographical, spoken word and free verse poetry and there’s freedom that I find is translatable via wordplay.